Canadian singer/songwriter Matt Mays unveils the reconceptualized ‘Twice Upon a Hell of a Time‘ and guides us through Nova Scotia. 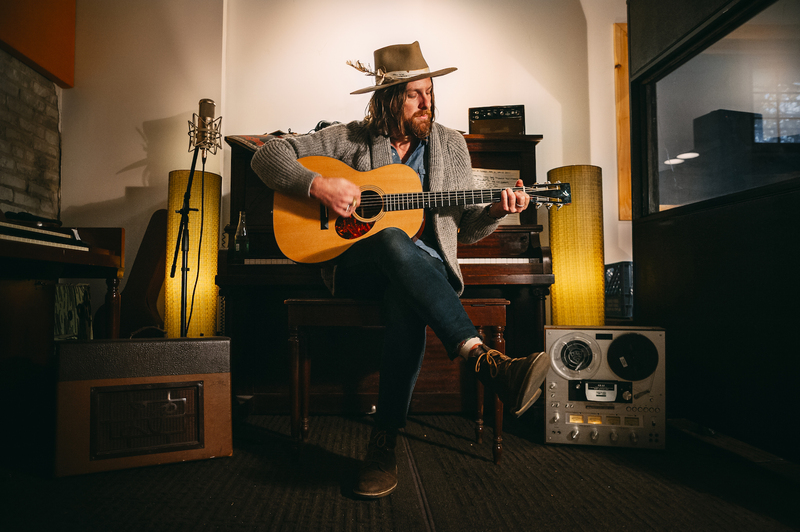 Just after wrapping up a summer tour with the The Gaslight Anthem, Canadian singer/songwriter Matt Mays is gearing up to release his new album Twice Upon a Hell of a Time, an acoustic reinterpretation of his previous record Once Upon a Hell of a Time, set to be released on Oct. 19, 2018. The first single off the album, “Ola Volo,” features a breezy island sound with Hawaiian-inspired pedal steel, a sound much different from the fiery guitars of Once Upon a Hell of a Time. The single is inspired by the Vancouver-based artist Ola Volo, who also created the album art for both records. After a 16-year long career, being a part of bands like The Guthries, El Torpedo, and going solo, Mays has become a force to be reckoned with in the alternative and singer/songwriter world. While Once Upon a Hell of a Time’s melancholia and melodramatic storytelling of a man dealing with love and loss catapulted Mays to a new level on the Canadian music scene, the forthcoming Twice Upon a Hell of a Time offers “a new window into the lyrics” with an acoustic departure from last year’s rock record. “I think if a song has meaning and is played with heart it can be done in a million different styles, tempos, time signatures, and colors,” Mays says about the coming new record. COLLiDE asked Mays about his favorite spots in his Nova Scotia home base where he frequently surfs and sails, so check out his answers below! What’s your go to place to grab a cup of coffee for a morning sesh? Definitely the New Scotland Yard Emporium in Dartmouth, NS. It’s a coffee shop with a record store and hair cutting corner in it. Need I say more. The Mic Mac Tavern in Dartmouth rules. I’ve been going there my whole life and it just keeps getting better. No frills, just a slammin’ brunch. There’s a couple of real good ones, but my fave is Kannon Beach. The staff are all the sweetest super dudes whose hair always seems to be glimmering with salt. It’s always just a great hang and also it’s really conveniently located directly next to Lawrencetown Beach. What are the best beaches for surfing for both beginners and the more advanced? Lawrencetown Beach is the best for beginners. The East Coast Surf School is there. It’s a really well respected school that also rents out all the gear you need to get you rad. Where to grab dinner and a refreshing beverage after a long day outside? Hands down my favorite place to go in Halifax is called Bar Kismet. It’s a world class restaurant with a perfect atmosphere and a deadly menu. Which is your favorite venue for a show? The Carleton is the best place to see mellower songy sorts of great music with swirly big bulbous wine glasses and The Seahorse is a killer cavernous room that’s made for bands with volume and poundable standard beer. (Both are in Halifax, NS). If you could describe Canada’s surf scene in a few words, what would they be? What the heck does surfing have to do with music and how has it affected your sound? Surfing makes your brain stop but also makes all your feelings start. Music does the exact same thing. So learning one helps me to connect with the other. Listen to “Ola Volo” below. Click here to explore San Francisco, CA on Culture Collide. Video Premiere: La Force Brings Psychedelic Color to "Lucky One"
Song Premiere: Yukon Blonde's Disco Masterpiece "Cry"
Video Premiere: Bright Righteous Set the Stage Alight with New Track "Wildfire"
Song Premiere: Great Lake Swimmers Enter New Waters With "The Talking Wind"
Song Premiere: Krief finds Beauty through Hardship with "Ordinary Lies"